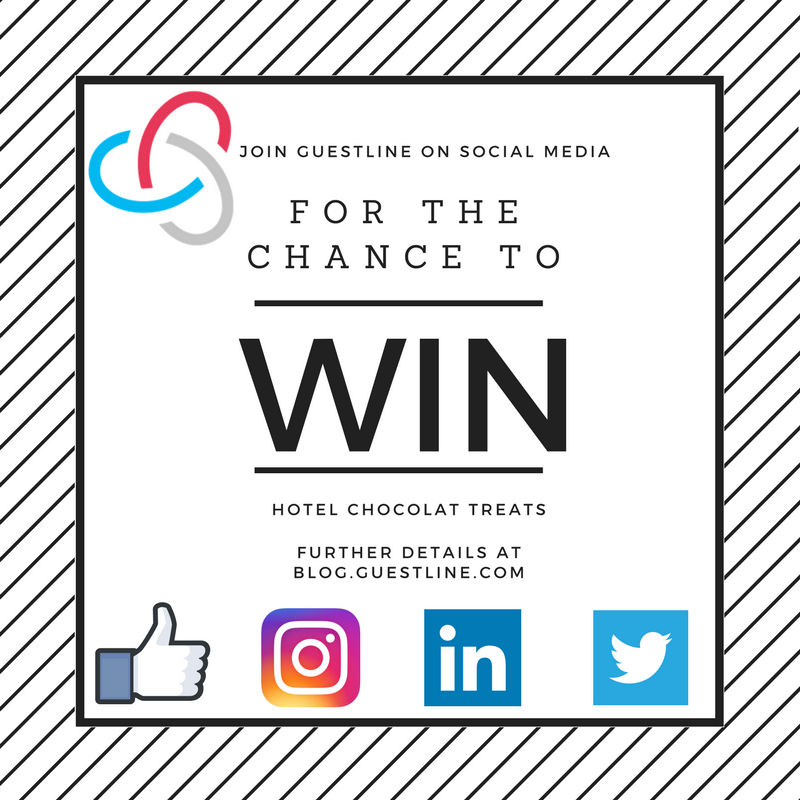 Join Guestline on LinkedIn, Facebook, Twitter or Instagram and you stand the chance of winning some Chocolate treats! This week, we would like to treat a few of our followers with some Hotel Chocolat goodies, because... we appreciate all your support and custom and this is just a little way to say ‘Thank You!’ to you and your teams. 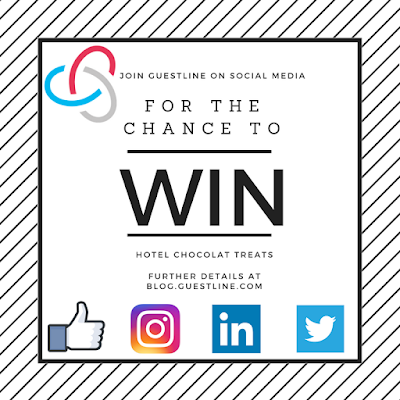 All you have to do to be in with a chance of being picked is join us on one of the four following channels and a selection will be picked at random to receive a little treat from Guestline. On each social media platform, you will find the following picture – Just leave a like or comment and your name is in the hat! · The competition will run from Wednesday 12th April until Tuesday 18th April. · Winners will be chosen at random from all qualifying entries. · Winners will be notified on Wednesday 19th April. Prizes will be distributed within 7 days of announcement. Guestline’s decision is final and we reserve the right to change or remove competition at any time. Hey! Cool idea for engaging more followers to your social media. Especially, the chocolate lovers, as me. I am thinking about such action for my blog http://supremedissertations.com/samples/strategic-management-in-dynamic-environments. Well done, guys! This is really a great blog post. Thanks a lot for sharing it. Even I am conducting a giveaway of free Tutuapp Vip access to 5 of top winners. I should prefer instagram over the facebook and linkedin because at facebook you can get free followers for instagram and this helps you to guestline .So for me it is best option increase instagram followers and do posting such things. KingRoot is the best application to root your android device with just one click. Download TweakBox Apk it is the best app store for Android and iOS. Thanks for sharing this post!! it was great!! i would like to know more!! keep posting!! it's common to download another game that plays with the possibility of scribblenauts unlimited apk while making good levels on the game. Burger King is a Fast Food Chain Restaurant, and it has more than 15,000 stores all over the world. The Burger King serves hamburgers, french fries, soda, cool drinks and many more items. Bahama Breeze serves their customers with the tropical and the Caribbean style food. The food at the restaurant can give you the experience of a vacation in a lunch. why should we Join Guestline? i am joining this on facebook and twitter but why instagram can't approved my joining request? This is just of nonsense. I just found epsxeapk.site on google by organically. Any manga lover here? I just want to know how to read manga online ? mangafan . these sites are awesome. Asyabahis şirketinin ilk ve tek destek sitesine hoş geldiniz.